Killer Whales, Orcas, or Kakawin (in Nuu-chah-nulth) have been making headlines these days. The Southern Resident Killer Whales (comprised of J, K and L pods) that live in the waters off BC’s Gulf Islands and Northern Washington state are threatened. With their populations dwindling, efforts are being made to educate the public on how to help protect these beautiful creatures. Threats include toxins in the ocean, noise pollution and reduced Chinook salmon stocks (their preferred diet). In the spirit of #oceanoptimism, here are some ways you can help the Southern Resident Killer Whales (SRKW). Here in Clayoquot Sound we often get visited by Bigg’s (Transient) Orcas. Unlike the larger family pods of Resident Whales (which show up on rare occasion), Bigg’s Orcas travel in smaller groups and hunt marine mammals (seals, sea lions, porpoises etc.). Sometimes, we are lucky to get front row seats as they cruise by Tofino Harbour! 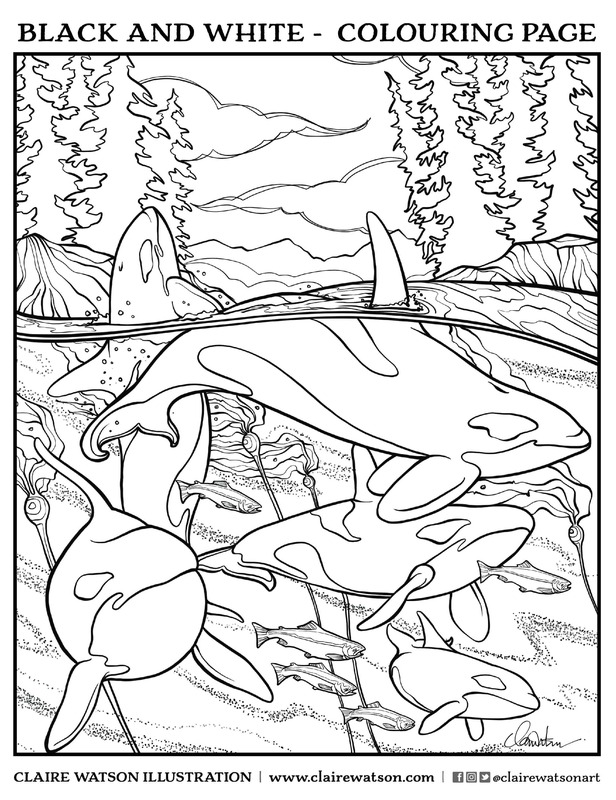 I decided to celebrate these beautiful marine mammals for February’s colouring page. 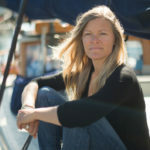 Keep an eye out in next months Tofino Time magazine and on the Tourism Tofino website. I also have it live on my blog page of my website for download (which I have been revamping *hint hint*). To colour Black & White click here & print!